The official V-Day Bakersfield 2016 resource site. Please visit last years site. With many opportunities in many different locations please join us! 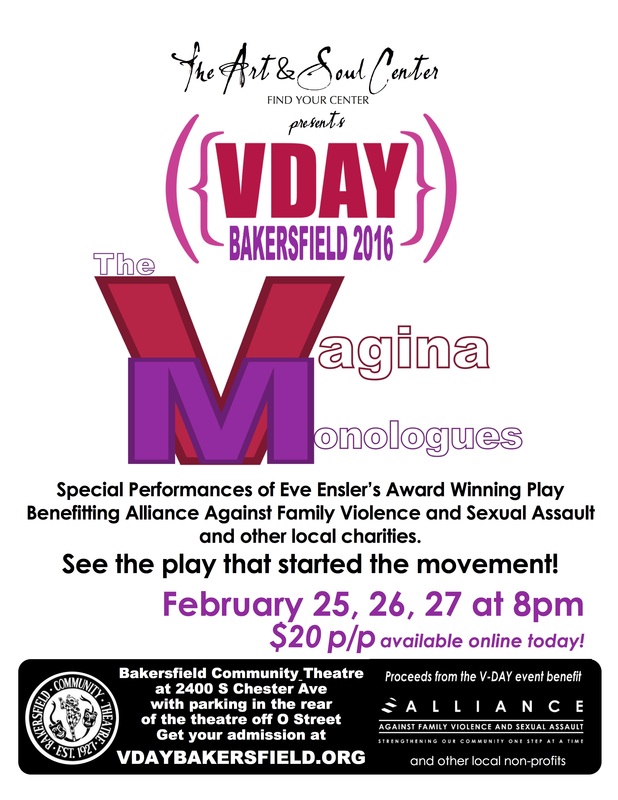 Join V-Day Bakersfield as we work to end violence against women and girls. Proceeds from all our events benefit Alliance Against Family Violence and Sexual Assault and other local charities. Please find links below to download our sponsorship letter. Form and materials are due Feb. 23. Have a question about sponsoring an event, or want to help in other ways?